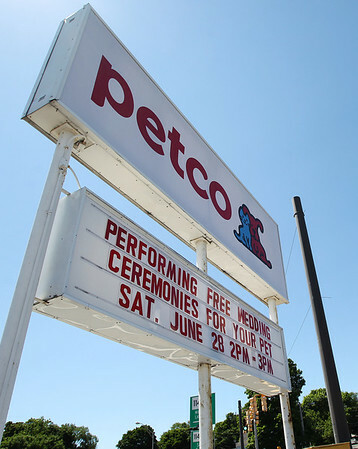 The Petco located at the corner of Sylvan and Route 114 in Danvers will be performing free wedding ceremonies for dogs on June 28th. The store will be selling wedding dresses and tuxes for dogs. DAVID LE/Staff photo. 6/20/14.